I would like to apologize to all my viewers. I’ve been selfishly pursuing my own “to-do list” instead of purposefully pursuing His. I pray that you will forgive me just as He has. 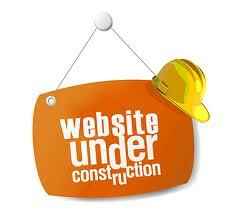 As I’m undergoing this new transformation, I have chosen to give the site a new look as well. Hoping you will enjoy the more user friendly, less about me and more about Him site. Hoping to have it up and running by July 1, 2013. Pray for me as I continue to pray for you. Looking forward to joining you again … At His Feet!